Hello! It's Saturday so that means it's time for another great sketch from The Sweet Stop! Feels like forever since I've made a card, this is the first one in almost 3 weeks! I had the chance to go away for a week with my sister on a mini vacation and I was busy the week before I left and the week after I got back. Sorry that I haven't been around to check out your blogs. Hope to be back on tract soon! Very pretty, Janice! 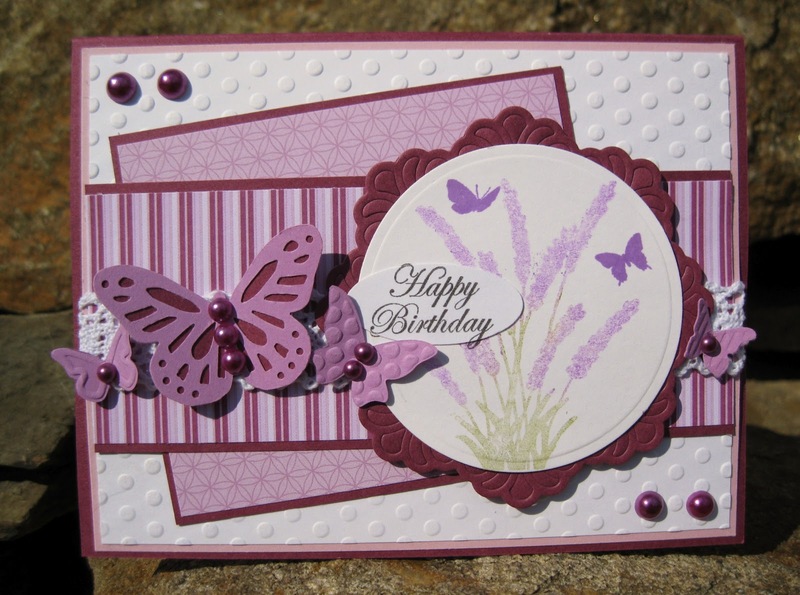 Love the colors and the layered butterfly! Hope you are well rested from your vacation! If you head over to my blog and scroll down to Thursday's post, I have an award for you! Have a fabulous weekend! Ohhh this is PRETTY! LOVE the purple and the butterfly dies... Such a pretty die too! Hoping you have a BLESSED week! This is beautiful! You didn't loose you touch while you were vacationing! I know you enjoyed your vacation with your DS! This is a great sketch and you did a beautiful job with it! Gorgeous card Janice. The monochormatic colors look great and the butterflies are so pretty!The lace and pearls are lovely! Very pretty!! I love the papers and pretty lace. I hope you have a blessed week.